You are here: Home / Adopted Cats / Knut – Adopted! Knut, his momma, Ginny, and his two brothers were rescued from Devore shelter in July when he was just 4 weeks old. Knut and his family had nasty colds, but their temporary foster took great care of them and now they’re all ready to find their permanent families! Knut and his brothers were named after the three coins that make up wizard money in the world of Harry Potter – Galleon, Sickle, and Knut! All three boys are roly-poly, stocky little guys who are quite social and love to play. Knut here is the most energetic of his litter, to the point that his foster mom affectionately refers to him as “Knut Job”! 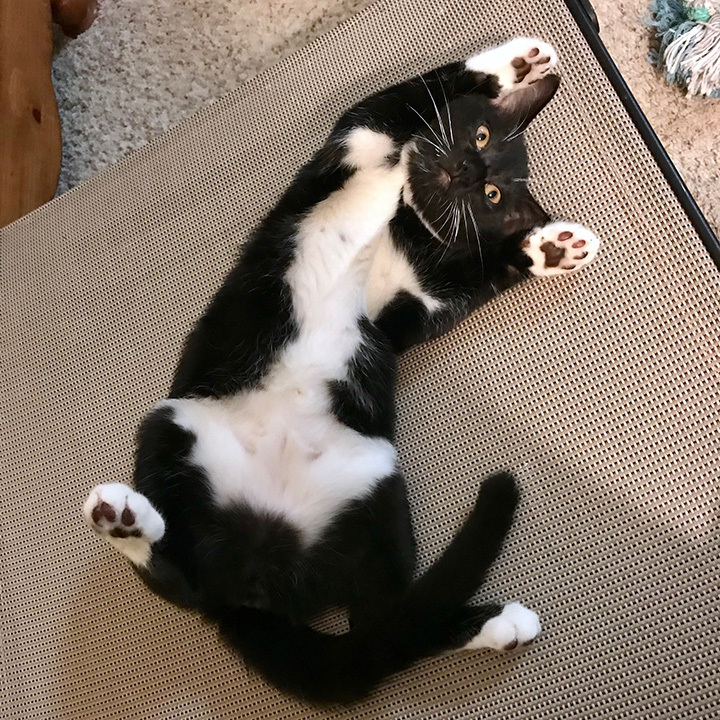 This adorable tuxie boy bounds around his foster home, chasing the other kittens and pinning them to the floor in his signature game of run-wrestle-run. 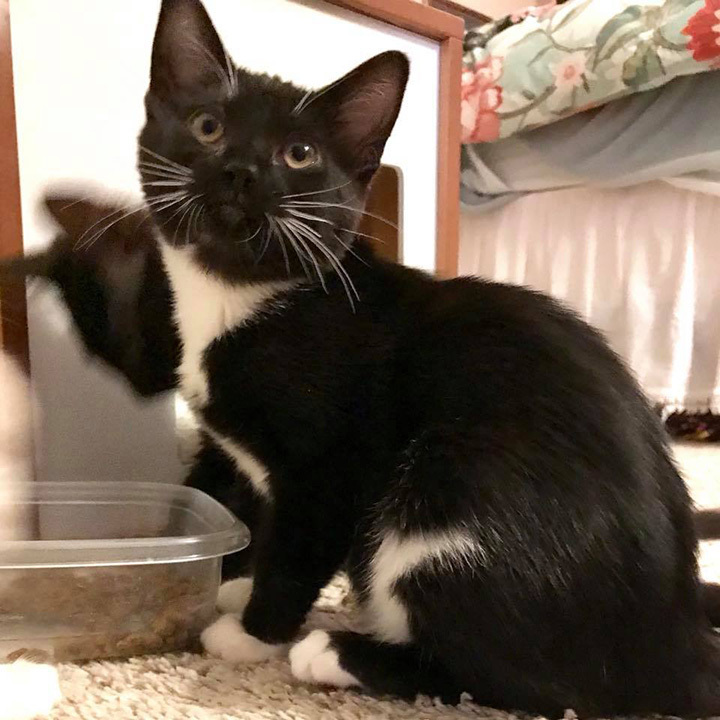 Because of his high energy and need to play all the time, he must be adopted with another playful kitten (like his brother, Galleon, or his friend, Nara!) 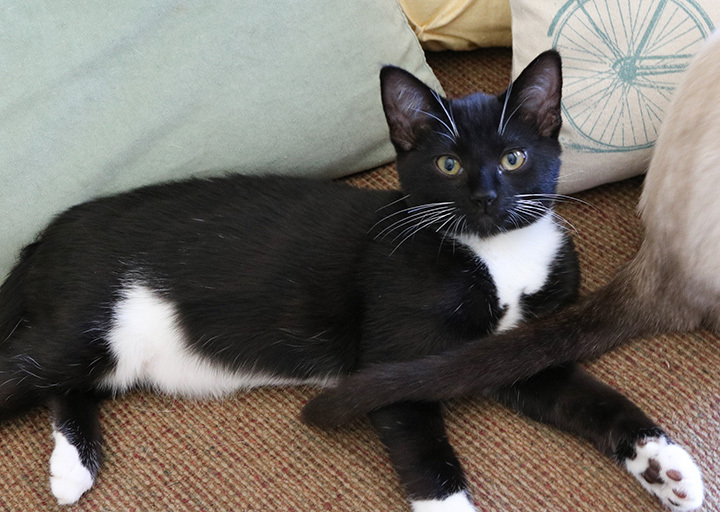 or into a home with another spirited kitty that he can become buddies with. Knut gets along famously with all of his foster siblings and the dog. 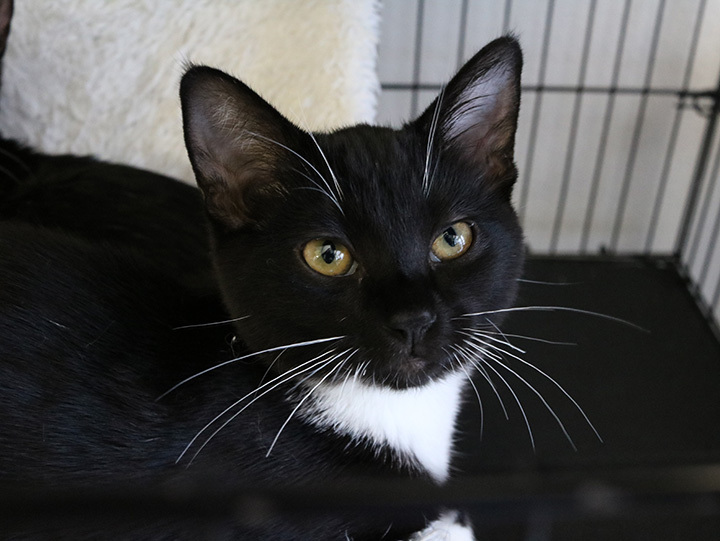 While he LOVES to chase kitties, spring toys, wand toys, and the laser light, he’s also a purr machine who really enjoys cuddles with his people! When he’s played himself into a coma, he’ll happily snuggle up to you for some affection. Knut is up to date on his vaccinations, microchipped, neutered, and has tested negative for FIV and FeLV. Now he’s on the prowl for a family of his own…so if you think this little wizard coin will make your family rich, apply to adopt him today! 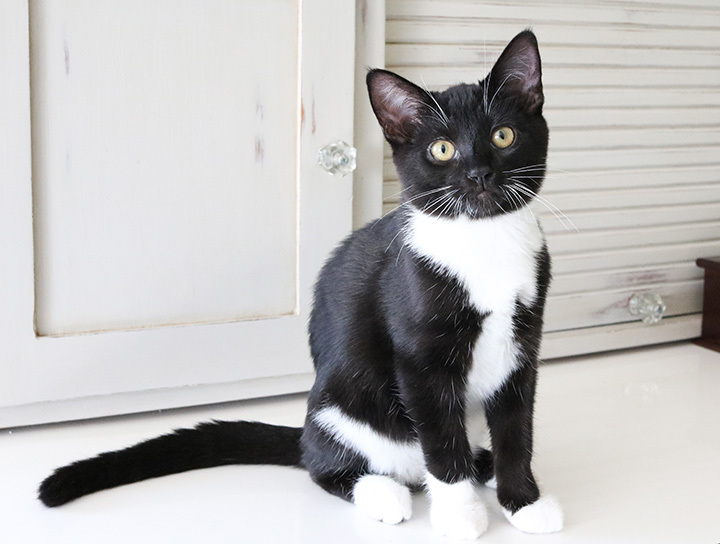 Knut and his brother Galleon were adopted together on January 19, 2019! 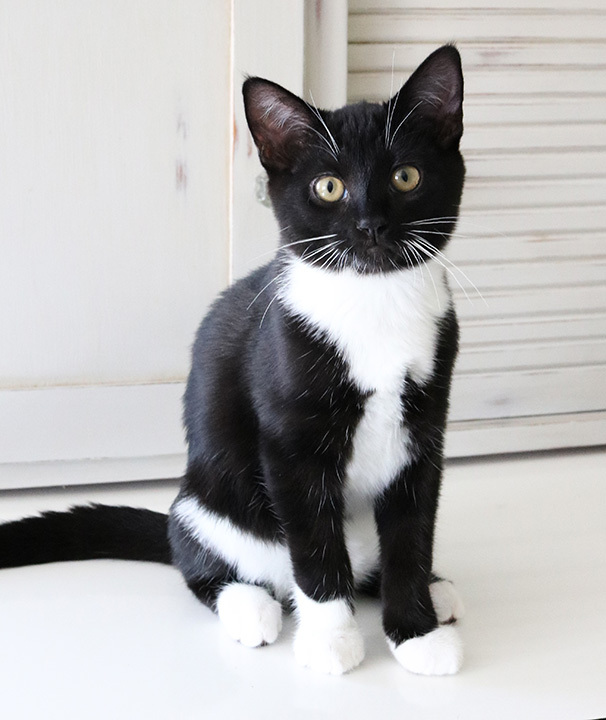 ** Please be aware: Knut is a highly socialized kitty who has grown up in a foster home with playmates. 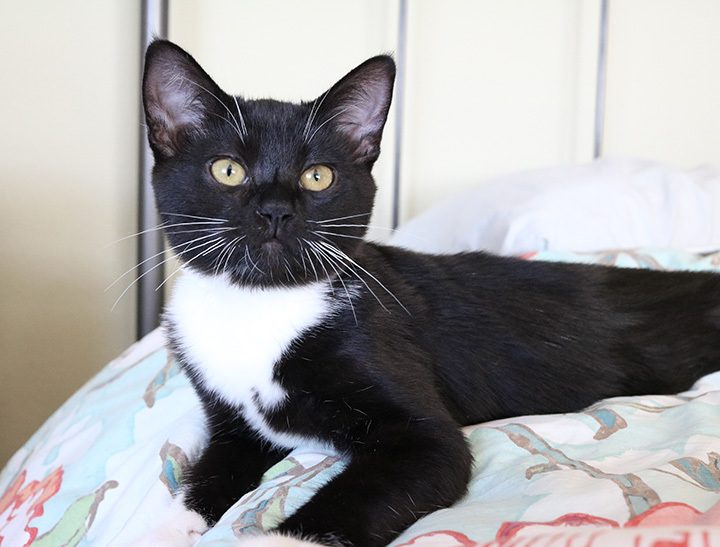 He is best suited for a home that has other kitties close in age and energy levels or be adopted with another kitten from our rescue. 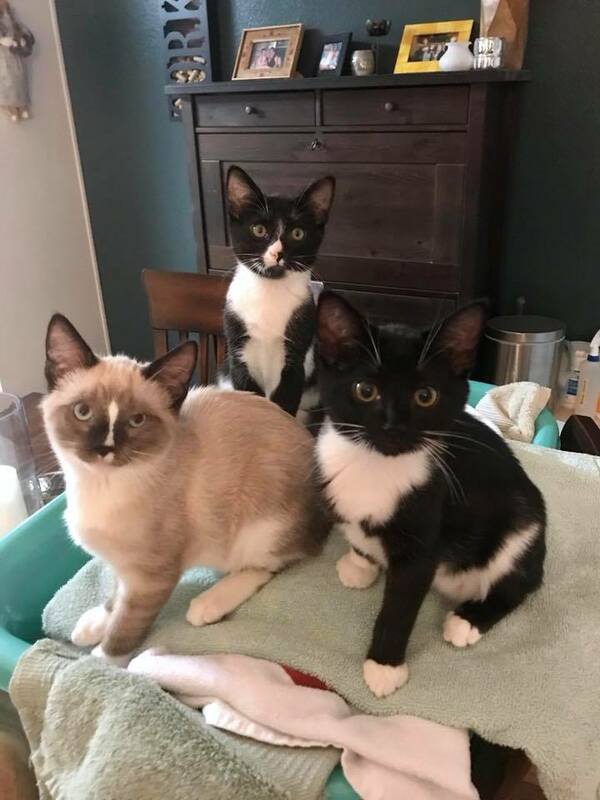 We will not consider applicants who have no other cats and only plan on adopting one kitty.